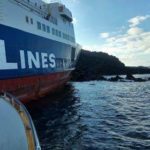 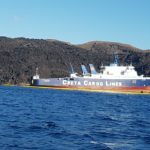 The 87 meter long, 750 dwt ro-ro passenger ferry Nearchos ran aground on the islet of Nea Kameni off Santorini, Greece. 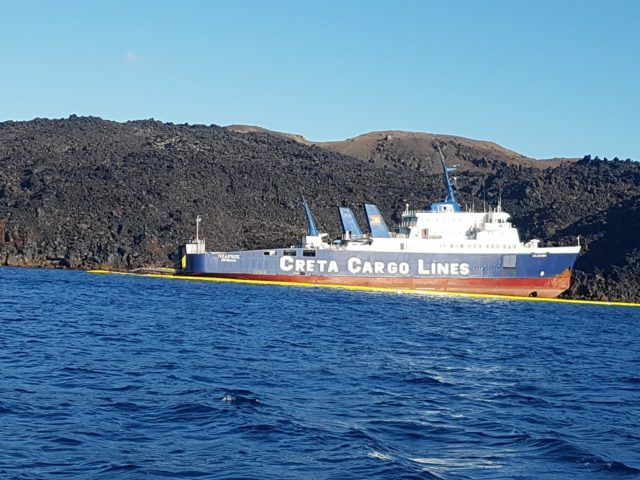 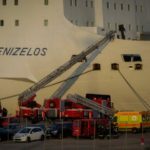 The Nearchos was underway with 13 crew and five passengers along with their 5 lorries bound to Thira from Mykonos when it ran ashore on the islet. 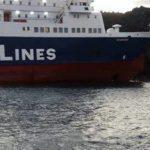 The ro-ro ferry sustained damage to its hull along the portside of the foreship. 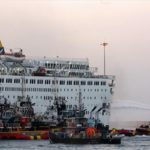 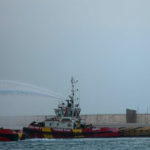 The vessel contacted authorities who dispatched several vessels to the scene along with divers to inspect the hull. 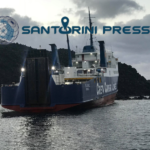 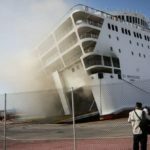 The Greek Coast Guard deployed booms around the ferry to contain any pollution that may be released. 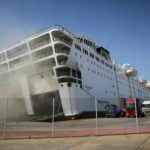 Reports state the passengers were safely evacuated. 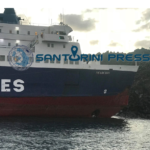 The 102 meter long, 783 dwt ro-ro passenger ferry Alexandra L allided with a quay in the port of Zakynthos, Greece. 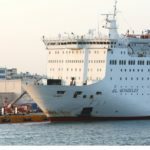 The Alexandra L had departed from Kyllini with 51 passengers. 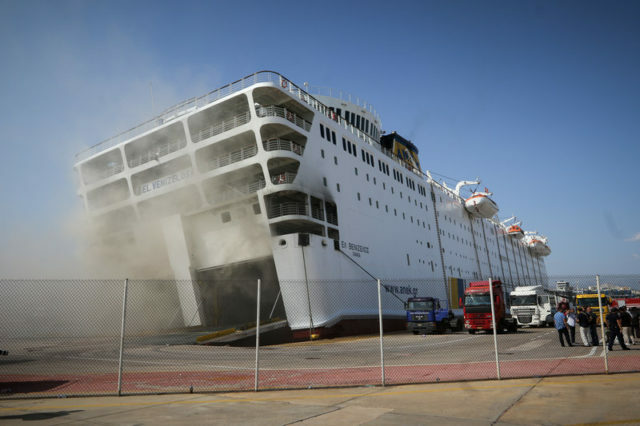 Upon entering the port at Zakynthos the ferry struck a quay along its port hull. 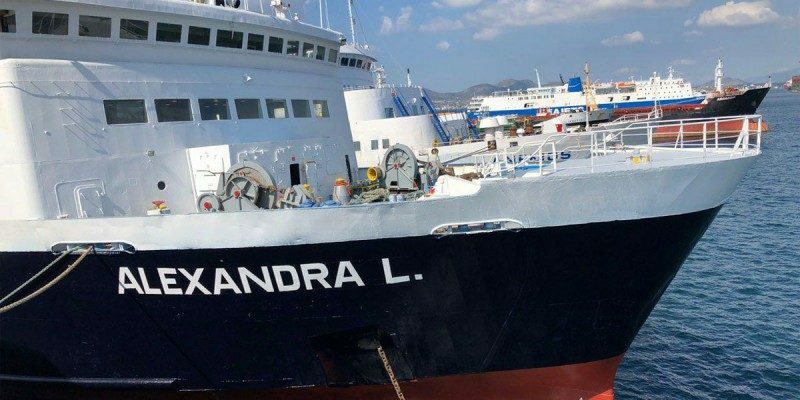 The Alexandra L sustained hull damage, but no injuries among the 51 passengers on board. 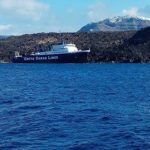 The Alexandra L was taken out of service for repairs.